Hi everyone, I’m going to go over the Revenant profession in terms of Shiro and how it affects the Revenant as a whole. This will be judged by the iteration of the Revenant from the first beta weekend event for Guild Wars 2: Heart of Thorns. Shiro is to embody the damage aspect of the Revenant; to burst opponents and to be really slippery. Let’s start with the weapons introduced with this legend: main hand and offhand swords. I’m sure a lot of feedback has been looked at or is being addressed but I’ll still go over them for the sake of consistency. 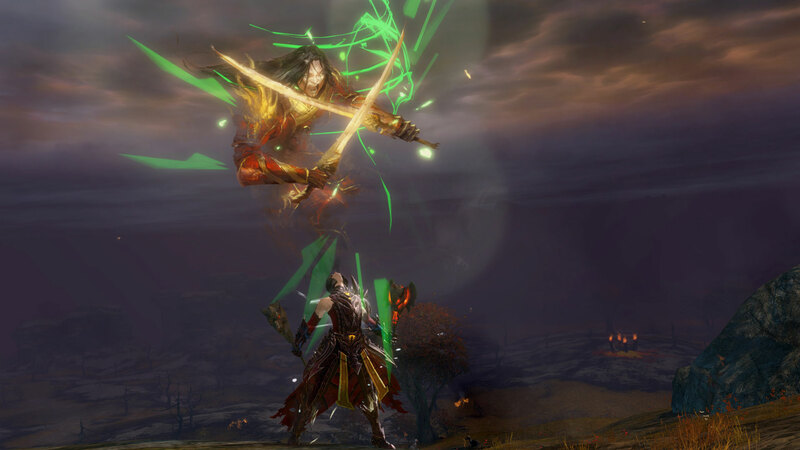 Preparation Thrust (Skill 1) – the basic skill that chains into Brutal Blade then Rift Slash. The first two apply vulnerability. The attacks are okay, but the damage on Brutal Blade needs to go up. 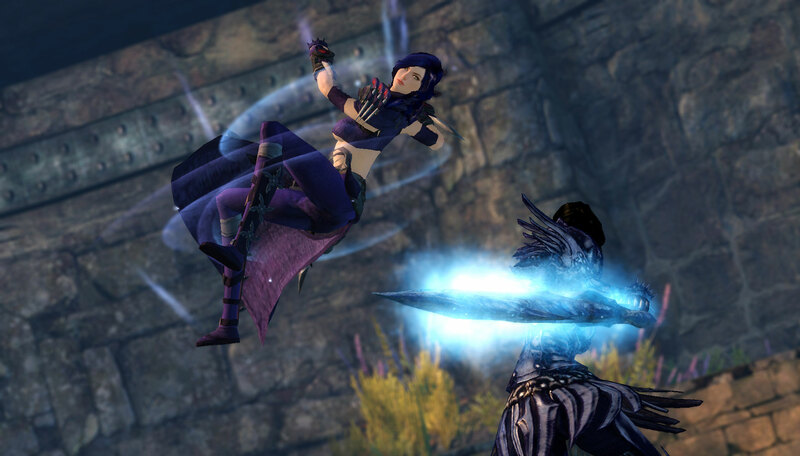 Precision Strike (Skill 2) – strike 3 nearby foes with blades that chill. Pretty decent mid range damage skill, and it does some nice damage too. Duelist’s Preparation (Skill 4) – a block skill that, when used successfully, turns into Shacking Wave which damages and immobilizes enemies in a wide cone. Pretty decent skill, not much to say here. Grasping Shadow (Skill 5) – Stab your foe and shadowstep back (600 range) pulling your foe with you. This skill is a bit buggy. Sometimes enemies would not be pulled back as you shadowstep back. Using this skill into Unrelenting Strikes is pretty fun. Enchanted Daggers (Skill 6 | Heal) – You summon 6 daggers that steal heath from enemies you hit. 6 daggers = 6 hits. You also get a base heal. I like the idea of this skill in line with the legend, you need to keep fighting to heal up. I did have trouble using it at first but I’ll get into that later. I would like the initial heal to be a bit stronger. Riposting Shadows (Skill 7) – You evade back (1200 range) and remove any movement conditions (chill, immobilize, cripple). It breaks stun and grants you 50 endurance. Pretty amazing stun breaker if you ask me. If there’s not a wall or a cliff behind you, you can pretty much break out of a fight quite cleanly. 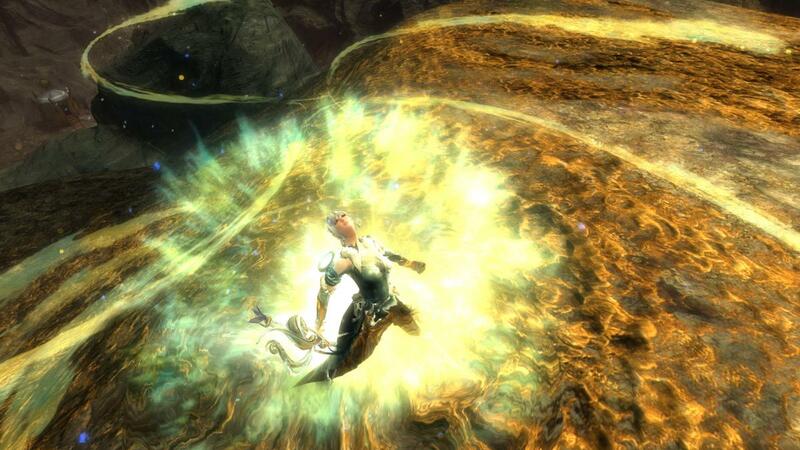 Phase Traversal (Skill 8) – You use the Mists to jump to a target (1200 range). Your next 2 attacks can not be blocked. Pretty good to use with Riposting Shadows to gain a reprieve then to quickly get back into a fight. Impossible Odds (Skill 9) – An upkeep skill that grants you quickness and super speed every second. Using the skill again to deactivates Impossible Odds. This skill vamps so much energy that I used it very sparingly. The skill itself is awesome but the upkeep saps all of your energy in a few seconds leaving you with less combat options. You need to be at max energy when using it in order to manage it properly. Jade Winds (Skill 0 | Elite) – Channel for a few seconds to turn any enemies around you to jade which damages and stuns them. It takes a few seconds to cast but the effect is very worth it. If you really stick to targets and retain a high amount of energy you can trigger this skill quite frequently if you wanted to. Regarding Enchanting Daggers, at first I found myself having a problem when in a fight and popping the heal like I’m on a Warrior or Guardian which left me in bad situations at times since the initial heal is low and I’m still taking damage. It took a while for me to learn that you need to get out of the fight, use the heal, then pop back in. Riposting Shadows and Phase Traversal aids in accomplishing this task. Something that the Shiro legend lacks is condition cleanse from bleeds, poison and so on. Switching to another legend and using that legend’s healing skill is the only real good way to survive condition burst. The Shiro legend line Devastation basically provides life siphon and damage increase in one way or another. I find Rapid Lacerations is useful for casting skills like Jade Winds and Enchanted Daggers successfully. Pairing Shiro with other legends, I found the most useful pairing with Shiro is Jalis for the extra retaliation and stability followed by Mallyx for dealing with conditions. I’d pick Mallyx over Jalis if I were more condition based. Glint was recently announced and the skill set her legend provides might be something I like. It will depend if I like her utility skills but the shield makes it very enticing. The shield might help with the lack of Shiro condition cleanse too. Overall, the main non-bug issues are with energy consumption, condi cleanse and lack of damage are the main issues to look at. Looking over these will make Shiro a more viable legend to use. I feel like I still need to play more Shiro in order to get a more firm grasp on how the legend is suppose to be used. I will say though that the Shiro legend is really fun to play and you should definitely try it out if you get the chance. Now, we get to know the final specialization that will be added to the Revenant for Heart of Thorns: the Herald! Game Designer Roy Cronacher gives us the details about the Herald where Glint is the Legend for this elite specialization. This specialization is designed to make Revenants as frontline party utility. The skills provided by this legend encourages players to stand near a Revenant that’s using the Legendary Dragon stance for defense aid and boons. Envoy of Exuberance: Dragon energy comes forth as a wave from your shield granting protection to allies in the target path, healing at the target location then finally returns back to the Revenant. I assume the animation is similar to the Chronomancer’s Tides of Time shield skill. 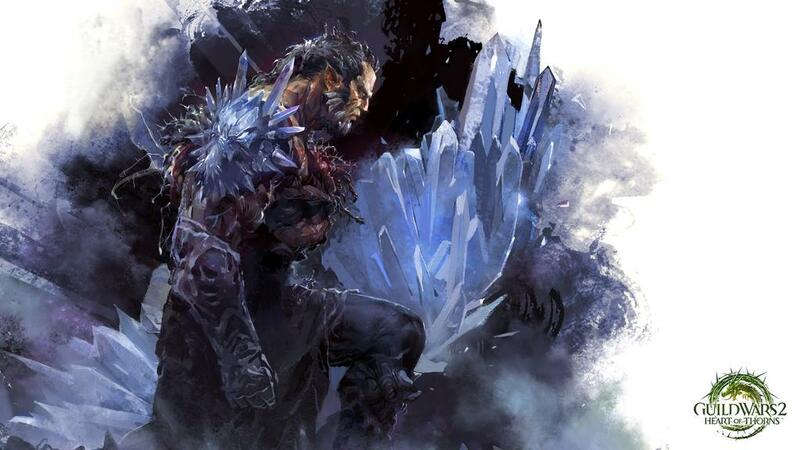 Crystal Hibernation: A crystal energy shield blocks damage and conditions while regenerating your health. You also gain a defiance bar on use. Once broken, you’ll be stunned for 2 seconds and have 25 stacks of vulnerability. You cannot move while channeling this skill. 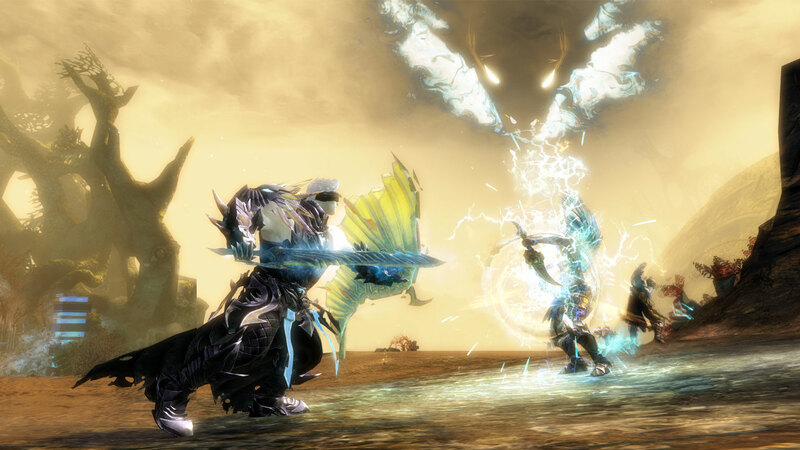 The Legendary Dragon stance skills embody the Six Facets that you had to face to meet Glint in GW1. Each Facet skill is an upkeep aura skill and can be casted again at no energy cost for an empowered ability but will make the skill go on cooldown. Facet of Elements (Utility): grants AoE swiftness and turns into Elemental Blast. When you cast Elemental Blast at a target location, the area is seared in Glint’s Dragon breath that causes condition like chill, weakness, and burning. Facet of Chaos (Elite): grants AoE protection and turns into Chaotic Release. When you cast Chaotic Release, you grant super speed to allies and control (taunt?) enemies. Facet of Nature: If you notice I said that there are Six Facets but only 5 skills can be placed on the utility bar. So where does this Facet of Nature, as the 6th facet, fit in? Well, it’s available for every Legend stance. Most likely to be an F2 skill, this Facet increases outgoing boon duration by 50% and turns into One With Nature. When you cast One With Nature, it cancels Facet of Nature to apply the boons of all the other facets at once! So up till the last beta weekend event, there was no word on the Revenant’s underwater combat. Well we’ve finally got the answer to that as well. Revenants will be able to use a spear underwater. The spear will supply physical and condition damage. What’s interesting about spear is that it will have two different types of auto attacks based on the range of your target. The ranged auto attack (which is condition based) is called Spear of Anguish. The melee auto attack is called Rapid Assault that is a flurry of multiple hits that stack vulnerability. Some of the other underwater skills are Venomous Sphere that is a orb of Mist energy that poisons any enemies on it’s path. 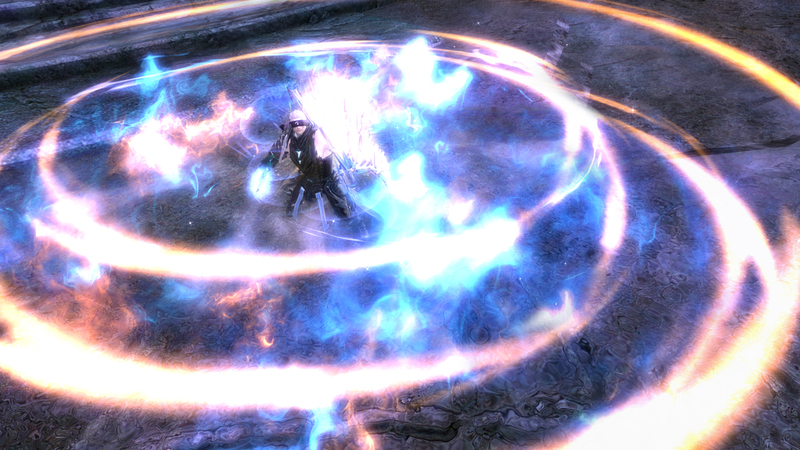 The secondary skill called Frigid Discharge detonates the sphere for a burst of damage. 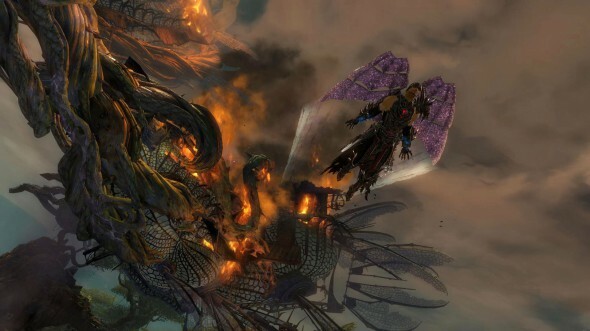 There’s also Rift Containment that traps enemies between two rifts from the Mists. I think the Revenant has finally come full circle now. It’s a very interesting decision to make the shield have a heal as I noticed that Shiro stance lacked a reliable strong initial heal so this will help. The protection and blocks help as well. Removal of conditions such as bleed and poison looks like will still be rather difficult with Shiro as it required you to swap Legends and using said Legend’s healing skill which takes you out of an assaulting role for quite a few vital seconds. 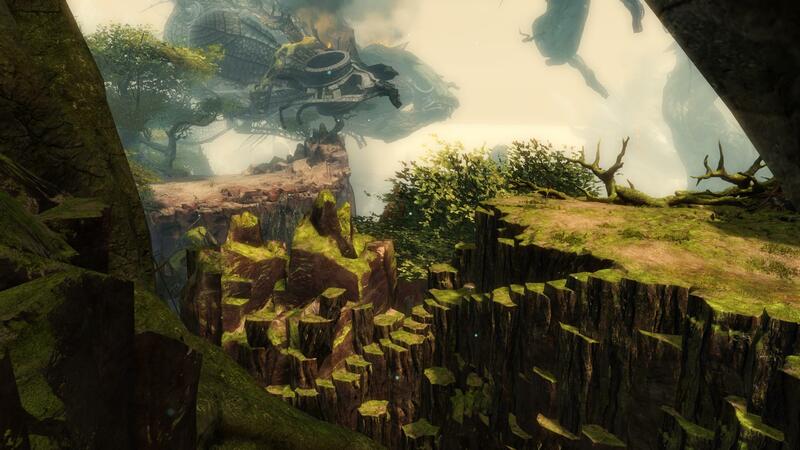 Revenant is the first profession we know of that will use a defiance bar. Players will definitely have to use this skill sparingly or be able to cancel the cast before the bar breaks. The Facet skills sound good in theory but in combat will be the real test. Energy upkeep skills are sometimes not worth it and drain too much energy (Shiro’s Impossible Odds). I really hope the energy upkeeps are reasonable because it seems that each facet will be worth upkeeping for a few seconds then activating to retain a decent amount of energy. Then again, we’re in beta stage so all these kinks are getting worked out. I think I’ll personally will be going with Sword/Shield and Hammer with the Legend options of Shiro and Glint (if I like the skills; Jalis otherwise). The underwater skills I think will be alright. I’m really interested to see if we’ll get Legend based underwater utility skills (I can’t see myself using Jalis’ brick road skill underwater). Maybe some legends won’t be usable underwater. Perhaps we’ll get Mist-like utility underwater skills not tied to any Legend. I made the legendary spear Kamohoali’i Kotaki a while back so in any case it works out for me. MassivelyOP’s Tina Lauro got the exclusive on this elite specialization. Be sure to check the post out if you want a few more details including her interview with Roy. We’ll find everything out on Points of Interest tomorrow per usual on August 14th at noon Pacific.